1. What could possibly go wrong? Just quietly ponder that on your own for a moment. 2. Have you ever done something like this on your own before? 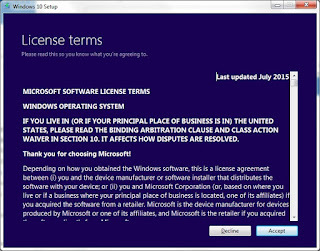 Although Microsoft has made it appear to be a very simple process, the potential consequences are significant. Seriously – this is the Operating System for your computer. It’s like the techie version of open-heart surgery. 3. Will your mission-critical software still work? Even after success during beta testing, some software does not work properly yet with the current release. It’s only a matter of time, but don’t jump off the bridge before checking with your providers to make sure your stuff is compliant. 4. Are you concerned with privacy? If so, you might want to pay close attention to the License terms, along with some of the options and choices. Failure to do so may compromise your (and your clients’) data. In the legal profession, that may somewhat less than ideal. Pay extra attention to how (or if) you configure Cortana. 5. Do you have an extra computer? If so, this would be a good place to do your own testing and training. See if you’re comfortable with how it works before locking yourself into an uncomfortable working environment. 6. Do you have some free time? If you’re in the midst of an important project, the answer is probably no. You should expect to spend several hours with the upgrade, and then several more learning and working with it. 8. Can you wait, or do you have to upgrade now? There is no urgent rush, although according to Microsoft “you must upgrade to Windows 10 within one year of availability.” At this point, that would appear to be July 28 of 2016. 9. What can you do if you upgrade and then find some of your software no longer works? According to the FAQ page, you will have one month after upgrading to revert back to the previous version, although I have heard of problems continuing even after a rollback. 10. Should you have someone else do this for you? If you’re in a large firm, you probably won’t see a firm-wide rollout for at least a few months – and for good reasons (see above). For smaller firms, if you have an IT person or service, you should consider having them handle the upgrade for you. If you’re independent and on your own, then you’re independent and on your own. 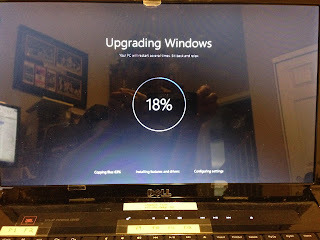 I've gone through a number of major software upgrades over the years, and I would say Windows 10 is certainly going to be worth every penny - especially for those getting the free upgrade (currently running Windows 7 or 8). How quickly you jump in is up to you (or those upon whom you depend to manage these things for you). I personally found one specialized software issue which will prevent me from rolling it out to my "money-maker" machines right now, but overall, the system looks very nice and is simple to use. 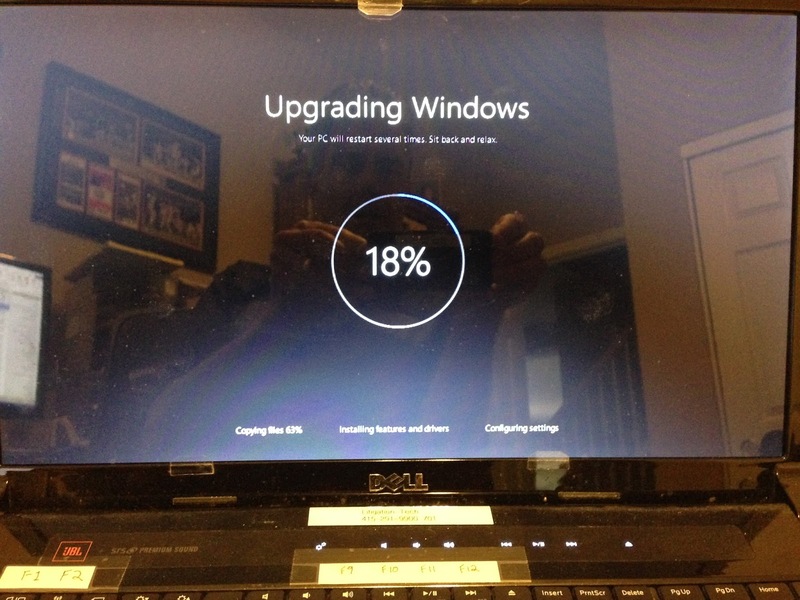 I am a huge fan, going from Windows 7 Ultimate to Windows 10 yesterday. Speed and boot up are now incredible, all software works, and the text is much crisper. Unless you are using Boot Camp on Mac (which I am, since I love the hardware but use only Windows because of Case Map and my archaic billing software), you hopefully have no problems. Do a thorough search for your particular software if you are concerned but be comforted if you are a Windows 7 or 8 user now. There is a one button rollback to your version. But if your experience was like mine, you will not want to go back. Thanks for sharing your experience, and good to know it seems to be working well with Boot Camp. 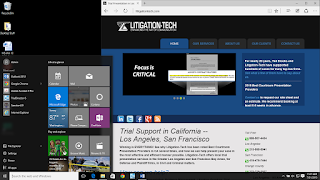 There many options during setup that could compromise your system and data, which is a serious concern for those in the legal profession. Wi-Fi sharing and Cortana are a couple that come to mind, and although we already share some of this via Siri on our iPhones, at least we're not storing everything there. Just something to think about. For me, after testing my trial presentation software, I found the current version has some issues that need to be resolved, limiting functionality. 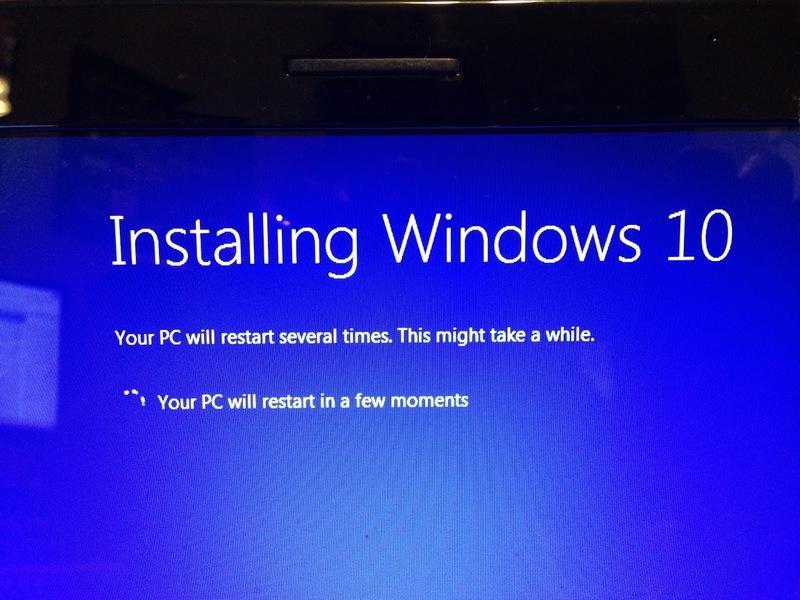 Until then, Windows 7 runs the business while Windows 10 stays only on a test machine. I can't afford to quit working yet! I hear you clearly. I will not be using Cortana (the children tell me that I butcher Siri quite enough), and I am on a secure network. I am a legal nurse consultant, so all of my work is with attorneys, and I am always concerned about security with Dropbox and Hightail. Many DA offices send me files with USAFx so perhaps that has better security. Sadly (okay, I am not sad, I am angry), none of us are ever truly secure. I hope you will be able to post any weaknesses that are peculiar to Windows 10. I updated my personal computer (not touching my work laptop until they say to update) and have had issues with accessing certain directories and with some apps that require elevated administrative privileges. 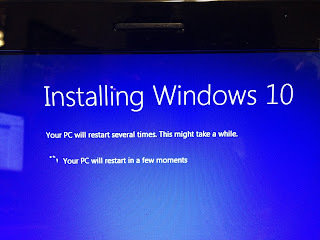 After the initial update and the required updates after Windows 10 updated, I had a flickering that almost had me roll back. I managed to figure out what was conflicting and disabled those apps, including Cortana and iCloud. If I can't resolve the current issues, I will probably roll it back and hope it will work. 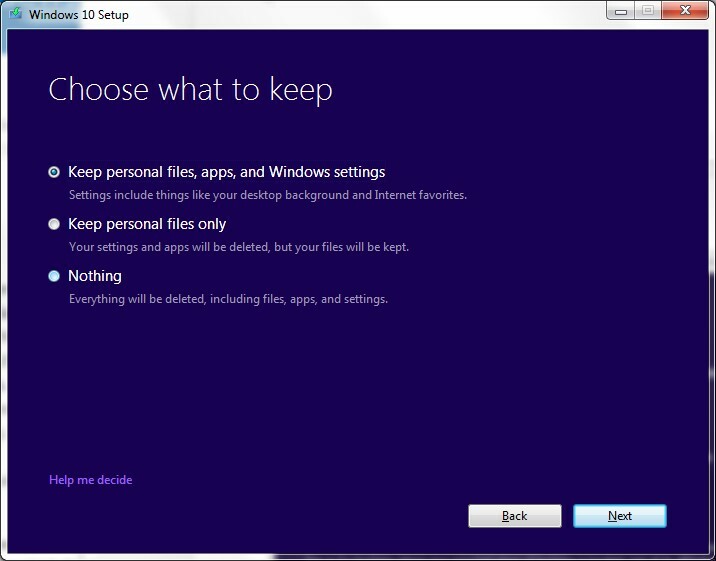 I'd rather keep Windows 10 because it is the best of both Windows 7 and Windows 8, but we'll see. Thanks for sharing your experiences, Kim. 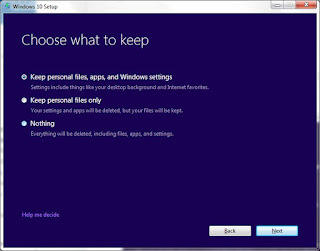 Cortana and Wi-Fi network sharing seem to be a couple of things causing the most concern. I've also heard of some problems persisting even after a rollback. I agree that it does look like it should be a good system, once the kinks get ironed out. I'm still sticking with my laptops on WIN XP & WIN 7 -- especially TrialDirector. I've learned being an early adopter with Windows & also TrialDirector is not always a good thing. I give it 8-12 months before I start transitioning. inData has just released the Win 10 update for TrialDirector, and it seems to work fine so far. You should get a notice when you try to launch the program, or you can go the the Help menu, and click "Check for Updates." First, since I needed to use some other software that would not run in Windows 10, I decided to do a rollback. Sounds simple enough, as long as you do it within the 30-day test drive, right? WRONG. After a couple hours of rolling, the poor laptop had been lobotomized. No possible recovery for this soldier. Fortunately, I was able to locate a Dell emergency recovery file, which worked - although restoring to factory specs, sans any added software. Oh well, added my other program and put the thing back to work. Another person I know tried the upgrade and ran into some out-of-network login issues (he said make sure you have a local login set up) and some driver compatibility issues. He also found some new TrialDirector issues with depo clips. Bottom line - If you need the machine, don't do it yet. If you're trying this on a retired machine, happy testing, and please share how it goes for you! I am a freelance court reporter and had little issues with 8, so I thought 10 would be the fix...Boy, was I wrong! I have a Toshiba Satellite and the first "little" thing was it disabled my trackpad. I could never get it to enable, so had to use up one of my USB ports for a wireless mouse. okay, no biggie. I run Advantage Software's Eclipse reporting software, and I found "little" problems with that. okay, I'll deal with that. By the next morning, my Eclipse still worked, but I was feeling uneasy so I thought I better do another quick backup of my current files. it wouldn't let me...uh-ohhhh. Then within an hour, I realized I had no menu list to shut down. I tried to get into Chrome to find Microsoft's tech support phone number, and I couldn't get on the Internet. Big problem! After one entire day of tech support, I rolled back my system to 8.1. I pulled the trigger again last week, as most of my software concerns seem to have been addressed. At this point, things appear to be running well for the most part, although I have noticed some file sync issues with Dropbox and OneDrive. It appears that Microsoft is working on updates to improve OneDrive, but it seems to be a little rough around the edges yet. This forces some additional manual backup effort, but overall, Win10 seems to run pretty smoothly now. 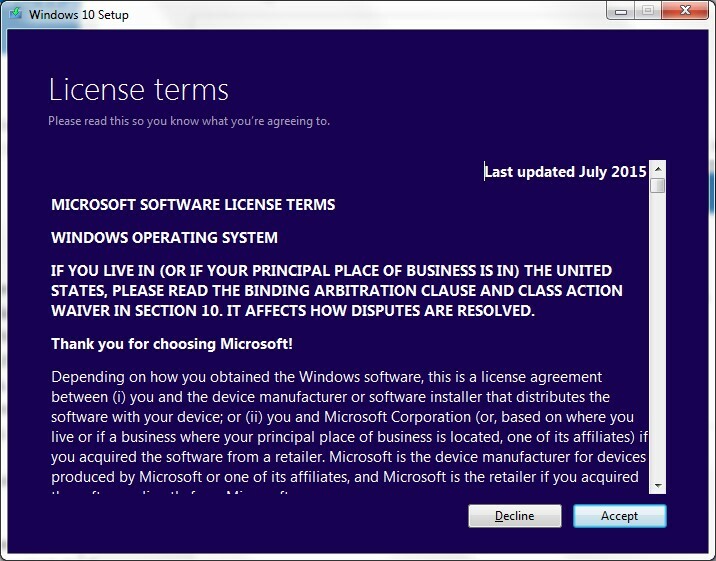 Windows 10 is nothing more than a vehicle to sell product...a marketing device. Way too much advertising and "come-ons" - full of peddlers and "gimme your money". There are a lot of young fools today so it will probably be welcome among those but for serious folks, save your money and read a good classic instead of the ephemeral crap being peddled.